Leadership inspiration one conversation at a time. 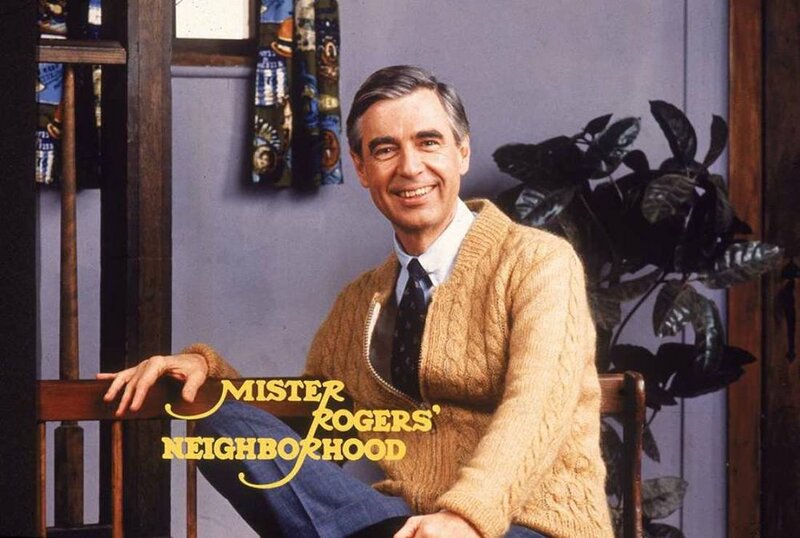 When our children were young, Mister Rogers' Neighborhood was a program I could absolutely trust to be thoughtful and fun. Recently I was reminded from two different sources the many leadership lessons we received, as well. Kudos to PBS who aired "Won't You Be My Neighbor?" and Southern Living Magazine for highlighting the leadership that Fred Rogers stood for and demonstrated. Read on for words of wisdom that inspire, offer perspective, and remind us all of our worthiness and inherent ability to make a difference in the lives of others. In other words, leadership. "As human beings, our job in life is to help people realize how rare and valuable each one of us really is, that each of us has something that no one else has--or ever will have--something inside that is unique to all time. It's our job to encourage each other to discover that uniqueness and to provide ways of developing its expression." "Part of the problem with the word disabilities is that it immediately suggests an inability to see or hear or walk or do other things that many of us take for granted. But what of people who can't feel? Or talk about their feelings? Or manage their feelings in constructive ways? What of people who aren't able to form close and strong relationships? And people who cannot find fulfillment in their lives, or those who have lost hope, who live in disappointment and bitterness and find in life no joy, no love? These, it seems to me, are the real disabilities." I hope these words have sparked some joy, inspiration, remembering of your true value and purpose in our world. Craig joined 400+ intentional “cooleagues” at the 2018 National Conference on Dialogue & Deliberation in Denver last month. 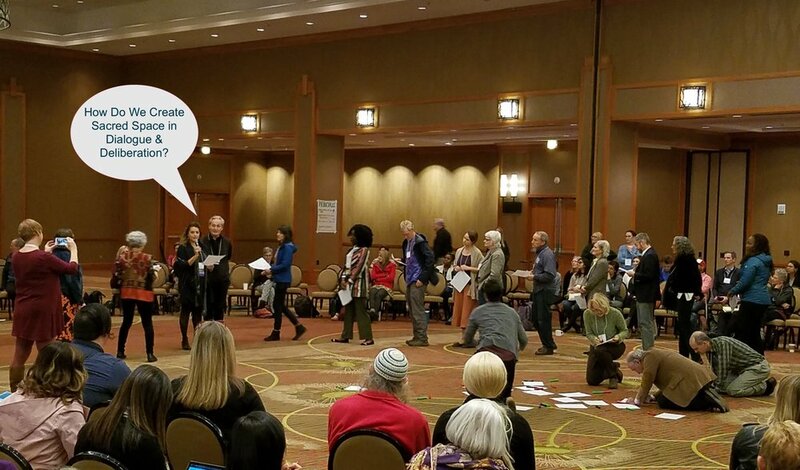 He presented at the Showcase and convened an inspired Open Space breakout session on “How Do We Create Sacred Space in Dialogue & Deliberation?” with Salomeh Dastyari Diaz. NCDD is a hub, facilitative leader & clearinghouse for a community of thousands of innovators. NCDD conferences are about having fun and enjoying the company of our field’s movers and shakers, as well as forming new partnerships, strategizing how we can tackle our field’s greatest challenges, showcasing some of the coolest arts, technologies, and methods for public engagement — and so much more. The workshops, presentations and Open Space breakout sessions all focused on how do we create opportunities to convene people in inclusive and creative ways, to nurture and support a world that works for all. A report on the learnings from “How Do We Create Sacred Space in Dialogue & Deliberation?”: Salomeh and I knew the word “sacred” could be edgy. We asked: how do we talk about the areas of human contact and connection that bring in our whole selves? How do we describe the whole human experience beyond our intellectual and cognitive capacities? The people who joined us were excited to have an essential conversation around how to create spaces of depth and affinity in any situation, knowing that creating containers of mutual trust and respect is one of the greatest challenges of our time. No matter our social, religious or spiritual foundation, we found a common sense of what the word sacred meant to us and why it matters as a reminder and expression of our core values and beliefs. Each human is viewed as a unique and beautiful bead. Why the name – Stringing the Beads? As each person speaks, the talking piece goes around the circle and becomes the energetic “needle” carrying the thread of connection from person to person, “Stringing” the Beads together into a complete necklace and an energetic whole. The talking piece and our words are the thread of connection that create the larger fabric, the “We”. Much like a shuttle moves back and forth in a loom connecting/expanding/transforming the “independent” strings into a woven fabric that contains the beauty of each thread and creates a larger beauty. Purpose is an expression of your gifts, talents, values and passions. On a chilly Minnesota day, it’s wonderful to recall the recent Fusion 2.0 Conference, hosted by Salveo Partners. The warmth and generosity of spirit made this conference a wonderful learning and sharing environment. Craig Neal and I were honored to present "The Art of Purposeful Leadership," a Learning Lab. We followed a keynote by high-energy Ondra Berry of MGM Grand. Jennifer Gilhoi gives an excellent recap of the day here: https://lnkd.in/eUK2g9R. Her comments about our session are below. What did we learn? There are at least 2 languages of leadership: from the head and from the heart. The head needs to create order, quantify and measure; the heart needs and gives aspiration, inspiration and connection. In this session packed full of purposeful tools, Craig Neal, The Center for Purposeful Leadership, began with one simple idea: A purposeful leader is anyone who steps up to make a positive impact in the world. Craig and his wife and business partner, Patricia Neal, had a cadence to their sharing that made the experiences in this session delightful. In a U-shaped seating arrangement with a range of tactical items at our fingertips, the group practiced “stringing the beads,” where each person contributed their response to a prompt like what gets you excited to get out of bed every morning? Beyond the straightforward response of, “an alarm clock,” each comment or bead, told a story about the person and at the end, a collective story of the group. Craig and Patricia walked us through The Napkin Test, by Richard Leider, an Art of Convening exercise to outline nine steps to thoughtful collaboration, and a Conversational Intelligence Assessment to rank ourselves and select one area to improve upon. 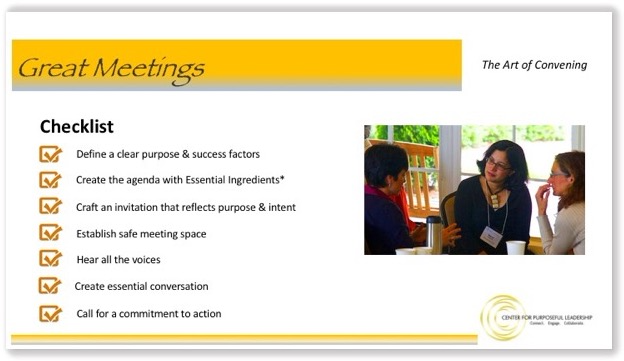 We look at convening as purpose shared. Craig and I are having a blast hosting Zoominars on The Magic of Purpose Shared and introducing a new model for Convening the Purposeful Path to Commitment. Purpose is an action verb. Purpose alone is for the sake of what? 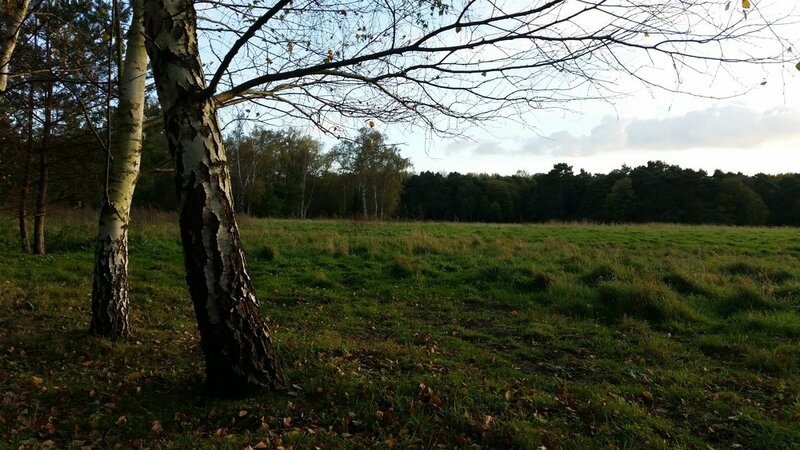 Convening alone is for the sake of what? At the heart of the matter of sharing your purpose is convening: the art and science of gathering and holding people in a safe and generative space, for the sake of authentic engagement, each time we invite people together, both virtually or in person. Each Zoominar is an opportunity to explore together the why and how of bringing your purpose to shared action in the world. And finding a way towards committed and shared outcomes. The 9/27/18 blog post featured the work of Dr. Sood. He notes that our brains and senses are inundated with information and demands that seem to take priority for what to pay attention to and how to act. But as human beings, and more importantly, as leaders, there is much more to be expressed as our authentic selves. The six components of Whole Person Leadership—Purpose, Integrity, Presence, Resilience, Impact and Thriving—are key ingredients to success and fulfillment. These correlate with the concepts of trust/trustworthiness, emotional intelligence, physical well-being, spiritual expression, and professional expertise. Being a "whole" leader calls on every aspect of our selves. It calls us to find the courage to bring all of who we are into everything we do: the brilliant parts, the messy parts, the parts we hide and the traits we feel most proud of. It offers the opportunity to connect more deeply to our power of purpose and lead more authentically from a whole person perspective, calling on all our senses and sensibilities. Whole Person Leadership is built on your own personal values and life experiences, as well as understanding your strengths and growth points, hopes and aspirations. A focus on discovery of purpose and how to share our purpose is a great place to begin. Purpose is always about being is service to something larger than yourself: what gets you up in the morning and sustains you through the day? the week? the tough times? What comes to mind as you think of all of what you have to offer? What does your head say? your heart? your spirit? Is anything missing? The faculty of Whole Person Leadership for Women is hosting 2 Zoominars on Whole Person Leadership. We’d love your input and ideas. "The main challenge we are facing in the 21st century is a very busy brain. ..."
I loved this interview. Dr. Sood speaks to the power of gratitude. Mayo Clinic stress expert Dr. Amit Sood joins The Daily Circuit to discuss the steps he recommends to lower stress and enjoy the holidays. 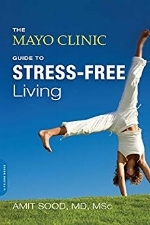 Sood's upcoming book is "The Mayo Clinic Guide to Stress-Free Living." 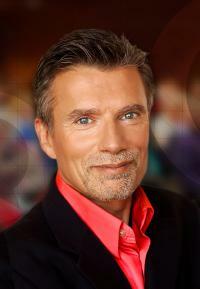 • "The main challenge we are facing in the 21st century is a very busy brain. We're all overextended. I'm sure you have more than 20 passwords. You have perhaps a dozen or more bills to pay. Our ancestors didn't have that." • "The three most important things in holidays are relationships, relationships and relationships. Binge on quality time with your loved ones.... Don't fall off the wellness and budget bandwagon. And do something to honor the tradition. This is a time of hope. This is a time of forgiveness. This is a time of gratitude. Be extra kind to yourself." Purposeful Leadership is purpose shared. We are sharing the Center for Purposeful Leadership message* at these great programs and conferences this fall. *Our Vision: A Purposeful Leader in every organization creating thriving cultures of purpose, trust, respect and collaboration. Patricia Neal with Vivian Jenkins Nelsen, Kimberly Kristenson-Lee, Lynn Nelson, and Claudia Eisinger welcome women leaders from across the country to participate in this unique program. 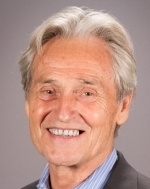 At the upcoming NCDD Conference Craig Neal will be participating in the D&D Showcase focusing on Healing the Divide. On 12/4 Patricia Neal and Vivian Jenkins Nelsen will co-convene a potent afternoon workshop. At the upcoming Fusion 2.0 Conference in Minneapolis, Craig Neal will convene a Learning Lab: The Art of Purposeful Leadership: The Future Leader. "I knew my life would be forever changed. I hadn't bargained on transformation in its very essence." 5 years ago, my letter was published in the Minneapolis Star Tribune. Today, more than ever, there is a need to call our purpose into action. May Dr. King's life be a powerful inspiration to express the purposeful leader in each of us. This day 55 years ago is a constant reminder of why I do what I do. Your reflections and comments are welcome. I was a 17-year-old self-proclaimed “jock” from suburban New Jersey when a friend asked me to join her synagogue on a civil-rights march in Washington. With parental support, I ventured forth. Our bus arrived early, so I walked along the reflecting pool to the steps of the Lincoln Memorial. I witnessed the preparations and eventually the speakers and singers, and ultimately saw the Rev. Martin Luther King Jr. deliver the “I have a Dream” speech. Separated from my group and hemmed into place by the crowd on the steps, I knew my life would be forever changed. I hadn’t bargained for transformation in its very essence. My lasting impression was this man and others dressed in their elegant best, with tears streaming down their faces, smiling and saying “amen” after each phrase. I knew at that moment that my life’s work would be for the sake of service to a dream of a better world. The writer is cofounder of Heartland Inc., a social enterprise organization, and is a former publisher of Utne Reader magazine. "Virtual collaboration is fast becoming the norm. Are you ready?" (Harvard Business Review, 04/24/18). Whether you are leading a virtual collaboration or a weekly team meeting, an Art of Convening Training adds a powerful skill set to any facilitation or gathering. Explore the art, science and application of convening and purpose practices to transform the way people meet and gather. 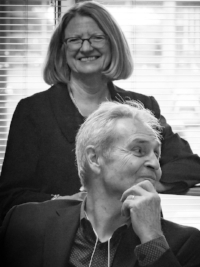 Meg Wheatley has been a seminal influence on CPL since the publishing of her book, 'Leadership and the New Science', followed in 2002 by 'Turning to One Another'. As a Conversation Starter at our Thought Leader Gatherings, Meg brought a provocative yet compassionate message on leadership. In addition, her books were foundational texts for early Art of Convening Training's. Who Do We Choose To Be? : Facing Reality, Claiming Leadership, Restoring Sanity. 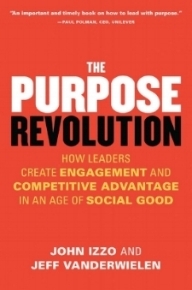 We saw it as an opportunity to bring together our work on activating purpose, as purpose shared, and her work "to reclaim leadership as a noble profession that creates possibility and humaneness in the midst of increasing fear and turmoil." In a time of unprecedented volatility and disruption, Meg's fierce commitment to defining the new warrior as present and compassionate is what is needed today. It was a thrill and honor to be with Meg again. Any convened meeting, gathering or even a conversation has at its core practical ingredients or “principles” that are essential to the creation of a safe and generative engagement leading to powerful outcomes that engage everyone. As the convener, you have the unique role of creating the recipe then to lead or facilitate people through the engagement AND to introduce the essential ingredients that will inform and assist in achieving the desired outcomes. Starting with positive intent, the convener approaches each engagement as an opportunity to create possibilities. Suspending certainty allows for what we don't know to come alive. We then listen for the wisdom in each voice and understand that slowing down the conversation will allow the spaces for creativity and innovation to occur. By hearing all the voices and perspectives we invite diversity and inclusion into the conversation. Then by looking for new ways of thinking and being, we are open to surprises and to new possibilities.